During: Baste on Narration is a live event created by Appau Jnr Boakye-Yiadom which makes visible the process of artistic production. A drummer will play freestyle within the gallery. The audience will be able to experience the sound of the performance and watch a live stream of the drumming which will be concealed within Boakye-Yiadom’s installation. The event will be recorded by the artist and will be added to the installation to form part of the exhibition. This event accompanies Jerwood Solo Presentations 2019, which showcases new works by Appau Jr Boakye-Yiadom, Kitty Clark and Sofia Mitsola. It is free to attend, booking is required via Eventbrite. The bar and galleries showing works by Sofia Mitsola and Kitty Clark will be open between 5-7pm in the run up to the event. 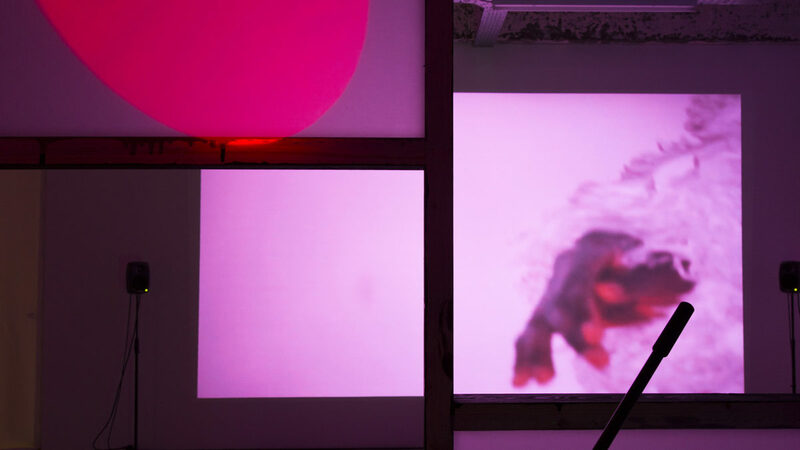 Appau Jnr Boakye-Yiadom produces installations that bring together ready-made objects, sculpture, photography, sound, archive and self-produced moving-image. Manipulating this material, he emphasises elements of percussion, colour, movement and memory in order to bring cultural narratives in contact with bodily and sensory sensations. 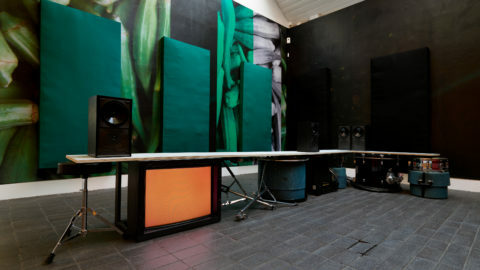 For Jerwood Solo Presentations 2019 he presents an audio and visual installation that expands on his previous series of work ‘Baste on Narration’. Boakye-Yiadom lives and works in London. He graduated with a Postgraduate Dipolma in Fine Art from the Royal Academy of Arts in 2008. Recent exhibitions include: Before: Adaptive Rhythm, Black Tower Projects, London (2018, solo); V22 Young London, London (2018); Michael Jackson: On The Wall, National Portrait Gallery, London & Paris Grand Palais, Paris (2018) ; Scenes from a Chasm, Cuchifritos Gallery,New York (2018); 13th Dak’Art Biennale, Dakar (2018); Fashion Arts Commission Exhibition 2017/18, Christie’s Auction House, King Street, London (2018); Naming Rights at Thomas Dane, Thomas Dane Gallery, London (2017); UNTITLED: Art on the Conditions of Our Time, New Art Exchange, Nottingham (2017); Screening work at Serpentine Gallery, London as part of Intimate Trespass: Hapticality, Waywardness and the Practice of Entanglement on the occasion of Arthur Jafa’s exhibition: A Series of Utterly Improbable, Yet Extraordinary Renditions (2017). In 2017 he received an Artist Bursary from Jerwood Visual Arts. Hector Plimmer is a musician, designer, producer and DJ, who recently performed for the LSO Jerwood Composer concert, a genre-smashing collaboration between artists from the London jazz scene and London Symphony Orchestra musicians. He has a monthly radio show Is This Thing On? on NTS and has played alongside the likes of Gilles Peterson, Kutmah, Alexander Nut, MNDSGN, Onra, Dego, Kaidi, Max Graef & Glenn Astro.